Great news! 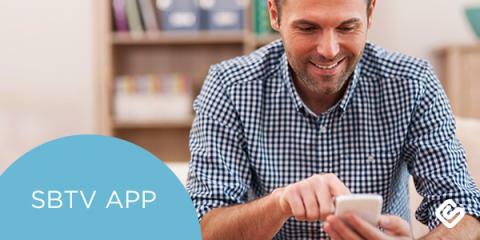 Swagbucks has now released the SBTV App for international members! Right now, it's available for Android devices from the Google Play Store! Just search "SBTV" or "Swagbucks TV" on the Google Play store to download and start earning even more SB wherever you are! The SBTV app is now available not just in the US, but also in Canada, Australia and the UK. You can earn up to 10 SB per day with the app just from watching videos. It's one of the easiest ways to rack up SB every day! If you haven't joined Swagbucks yet, it's how I get gift cards (often times FREE gift cards) for doing things like searching and watching videos online. And now with the SBTV app available for Android devices in all SB countries, earning more Swag Bucks towards your next gift card is even easier!